With a lake is 5 miles long and a river and streams system that offer consistent, high quality wild Brook Trout fishing and great fishing for Northern Pike. The Brookies range from 3-8 pounds with an average size of about 5 pounds. The Northern Pike, which weigh up to 20 pounds, are plentiful. Most fishing is done in the rivers and streams with dry fly equipment. Light spinning gear may be used with barbless hooks but permitted in the lake only. Catch and release is mandatory. Boats and motors are provided with one guide for every two fishermen. 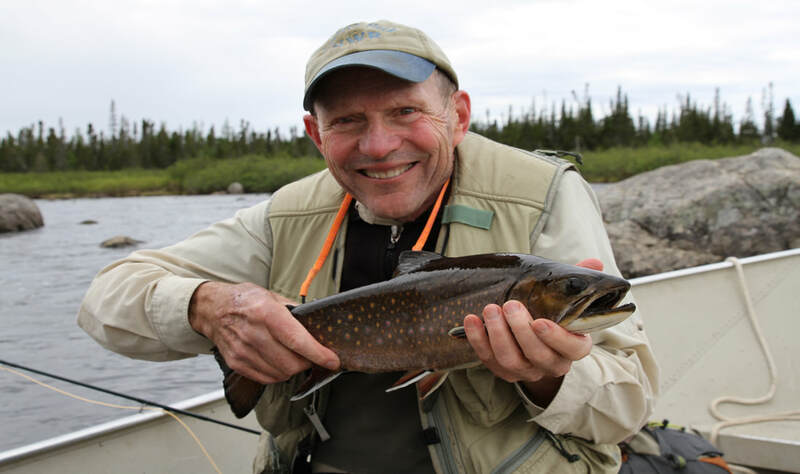 The Brook Trout fishing Labrador is truly trophy Brook Trout fishing with an impressive range in weight from 3-8 pounds, occasionally larger, with an average size of about 5 pounds. They feed voraciously on the abundant insects. Hatches of mayflies, stoneflies,or caddisflies can occur anytime, and when they do, you had better be ready! Known for their savage strikes, Northern Pike of 20 pounds and more, provide a secondary challenge for fly fishers who choose to take them on light tackle. Typically found in the shallower weedy areas of the watershed, these fish are the Barracuda of the North, feeding on anything that swims, including moles, duckling, and even trout. Click below to receive more information about our Labrador Fishing Adventure!